Heavy duty rubber castors - 5000 Series Castors with a robust black rubber wheel are the heavy duty workhorses of our range. These heavy duty castors are available in three sizes and are specifically designed to move heavy loads. These castors offer you strength and durability with smooth movement and are suitable for a variety of applications. 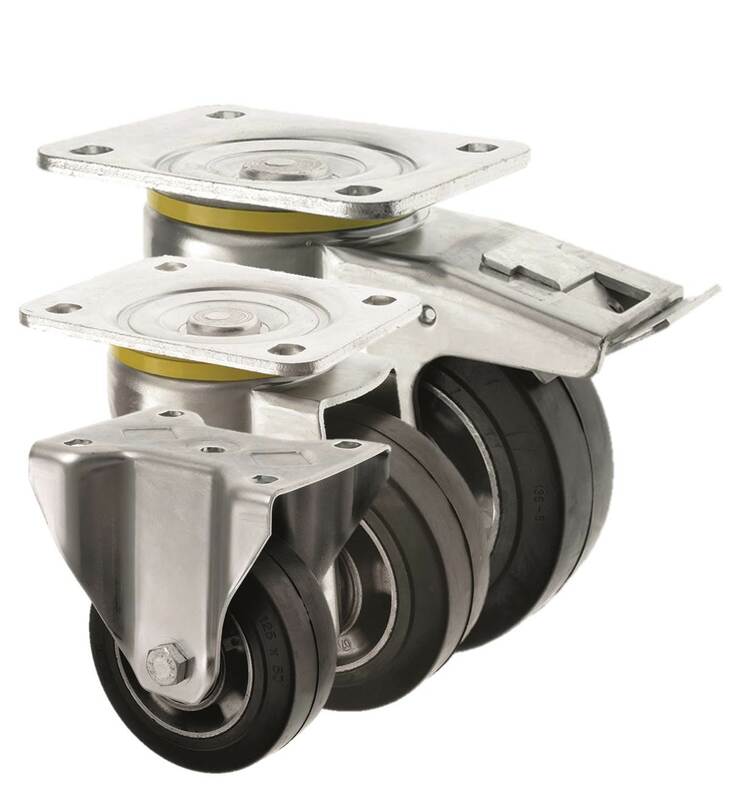 These castors are available as either as a swivel, fixed or braked castors.